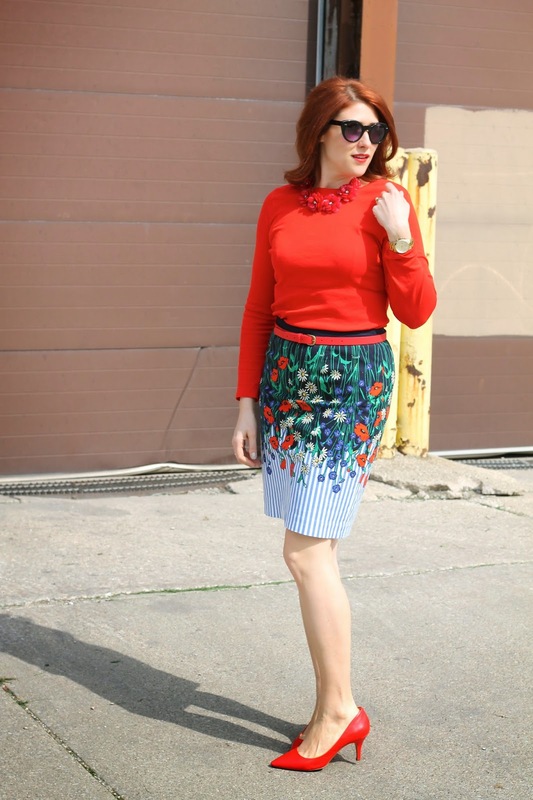 Just like yesterday's post, this is another Anthropologie pencil skirt for the books. I've had this skirt since last summer but for some reason never wore it. 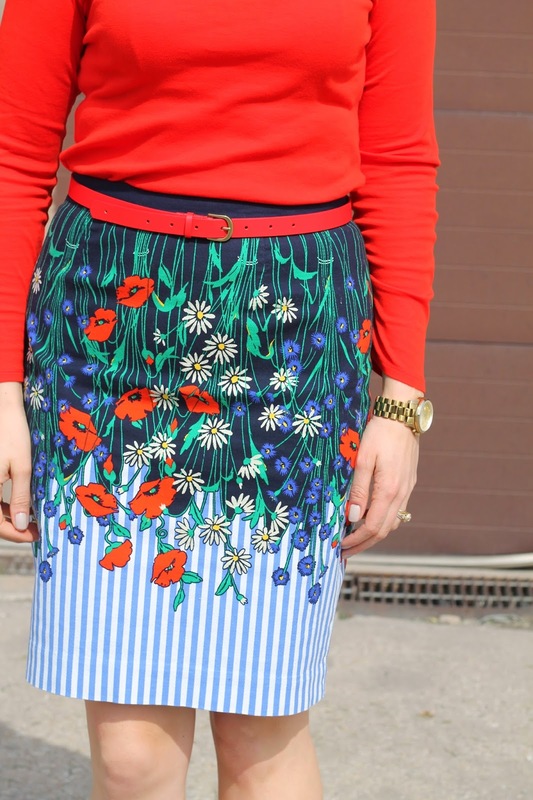 It screams spring so I think I may have just been waiting for the perfect spring day to wear it. It is so beautiful! You should wear it more!! I'm going to steal this entire outfit from your closet. Thanks in advance.